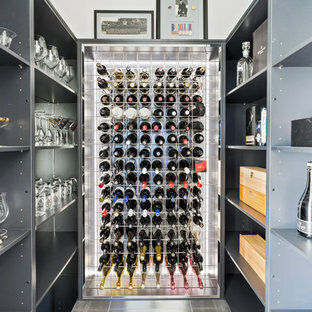 When you’re an avid wine collector, wine racks don’t always cut it. 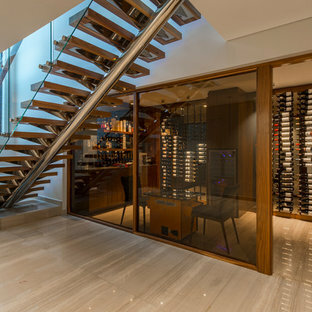 A wine cellar, on the other hand, can provide ample wine storage within a controlled temperature, and a place to entertain friends. Just add seating and a tasting area to take yours to the next level. 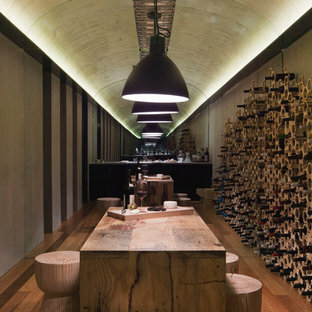 You don’t need 500 bottles or more to reap the benefits of a wine cellar, either. 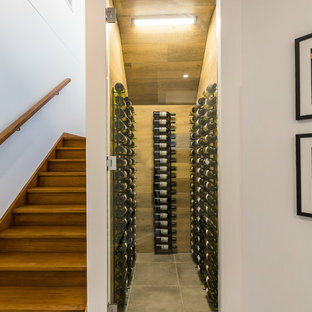 A small wine cooler can keep 20-odd bottles chilled to perfection and can sit within your kitchen, whereas a freestanding all-glass wine cellar could act as a feature or functional room divider in your home. Short on space? 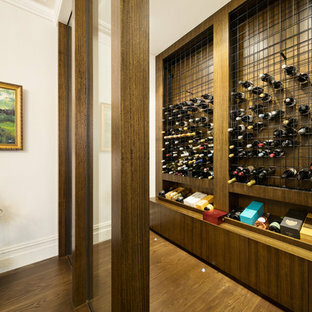 Transform an entire wall into wine storage, and showcase your collection, too. 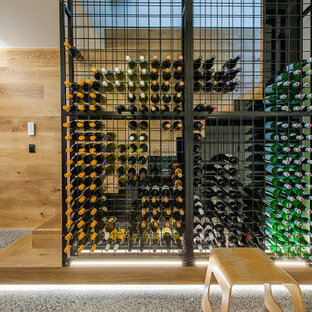 Browse the photos on Houzz for an array or wine cellar designs, and strike up a conversation with the architect or wine cellar specialist of your favourite picks. 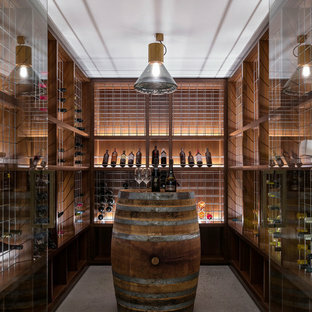 For more wine cellar ideas, check out the Stories section on Houzz. 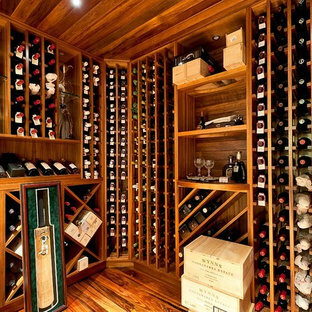 What should I include in my wine cellar? This depends on the size of your collection – or how big you hope it becomes. If you enjoy quaffing, you may want to invest in a walk-in cooler with wall-mounted wine racks and several tall wine fridges, as well as a tasting area with bar stools. If you’re a beginner or have a small collection, a home bar with mini fridge and wine rack will suffice. Essential bar accessories include wine glasses, corkscrews, carafes and aerators. 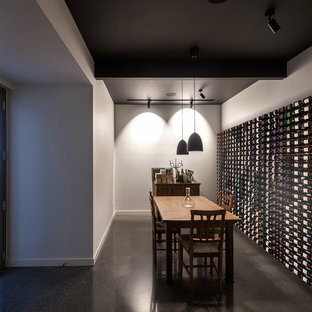 Temperature control is at the core of a functional wine cellar. Your bottles need to be kept out of direct sunlight, and away from the heat and steam of kitchen appliances. A room that is too warm will make your wine age faster, oxidise and lose its character and flavour. If bottles are corked, they also need to be laid down. 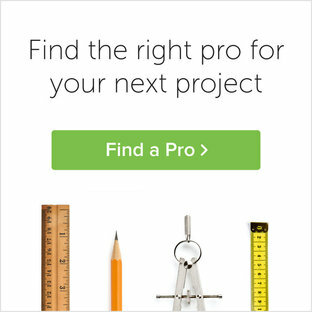 Your architect or designer will be able to help you create the ideal conditions for your home collection. Where should I position my wine cooler? The most important thing to consider is ease of access, which is why kitchens are the most common place to position wine coolers. Should you have minimal floor space, a small one could even sit comfortably on your countertop. If quaffing requires an occasion or you frequently host dinner parties, consider your dining room, so you can top up people’s glasses without having to leave the room. You could also make your bar fridge or cooler a destination within your entertainment or games room. There’s no denying that Aussies love to entertain and enjoy a glass or two outdoors, so if you’re lucky enough to have a covered outdoor area, this could be just the place for a cooler, too. Just ensure it doesn’t experience any extreme weather or long periods of direct sunlight.